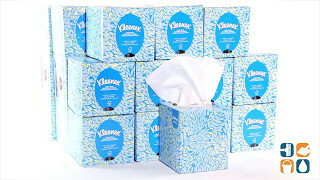 Kleenex always delivers a soft and absorbent facial tissue. Our strongest tissue packaged for attractive presentation. Special feature lets you know when tissues are about to run out. Tissue Type: Facial; Number of Plies: 2; Number of Sheets: 95 per box; Length: 8 1/4".